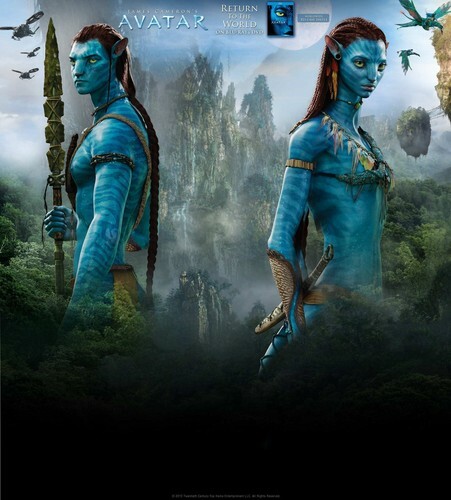 Avatar Blu-Ray & Dvd Promo . . HD Wallpaper and background images in the Avatar club tagged: avatar neytiri jake sully sam worthington zoe saldana 2009 movie promo dvd blu-ray. This would be such an awesome poster!